A hilarious and essential illustrated field guide that breaks down the tribes of the bicycling community: from the spandex-clad weekend warriors to the hipsters on street bikes who love to laugh at each other (and themselves). Anyone who rides a bike knows the bicycling world is made up of tribes. From tattooed messengers to pretty urban hipsters to grouchy shop owners, they may look like they live on different planets, but they are united by their abiding love of bikes-and often their total disdain of other members of this insular world. 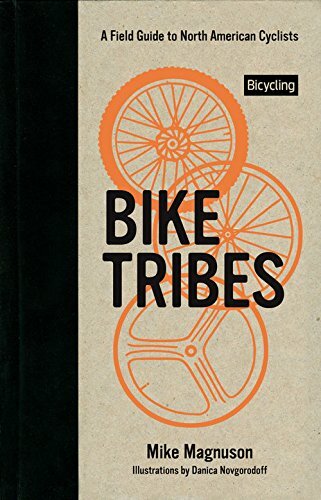 Bike Tribes is the Preppy Handbook of bicycling, replete with one-of-a-kind illustrations that taxonomize the special habits, clothing, preferences, and predilections of cyclists. Mike Magnuson, an avid rider, bicycling expert, and longtime contributor to Bicycling magazine, covers the basics of racing, etiquette, and apparel and gear, including running commentary on cycling culture, poking holes in practically every pretension in the cycling world. Bike Tribes is a fun romp through the various subcultures in the bike community-bound to appeal to newcomers and grizzled cyclists alike. How to Make Curtains: Measuring and Making the Perfect Window Coverings for Every Room in Your Home.